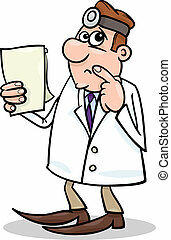 Doctor thinking - medical cartoon. 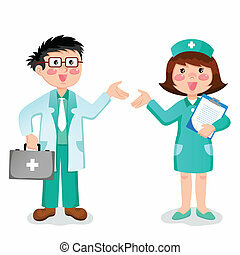 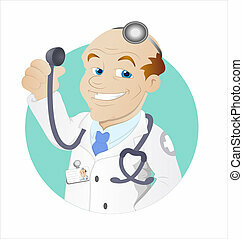 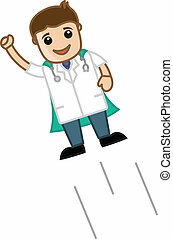 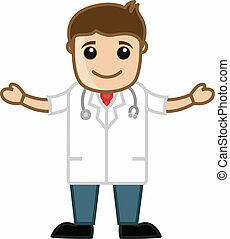 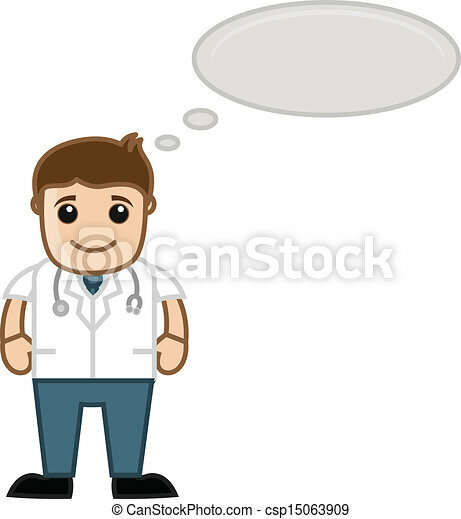 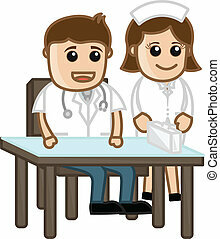 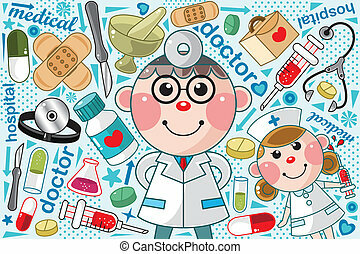 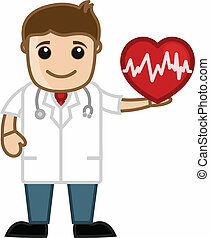 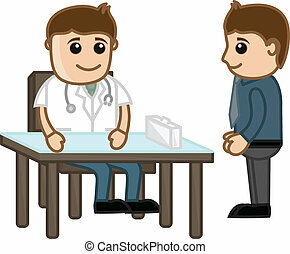 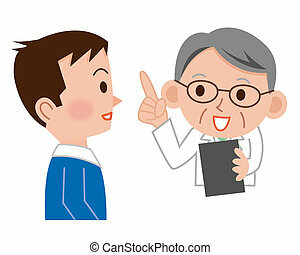 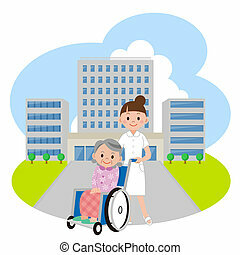 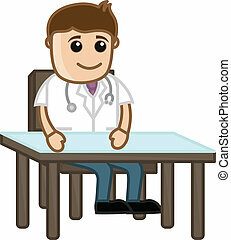 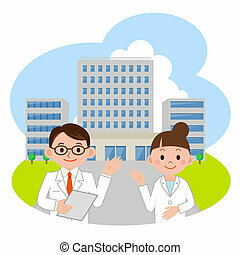 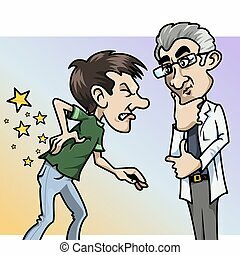 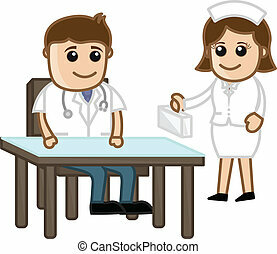 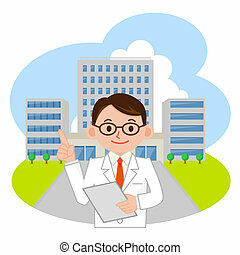 Drawing art of cartoon doctor thinking concept vector illustration. 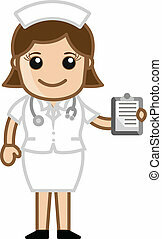 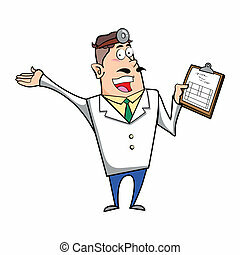 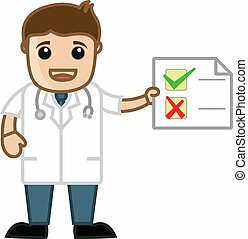 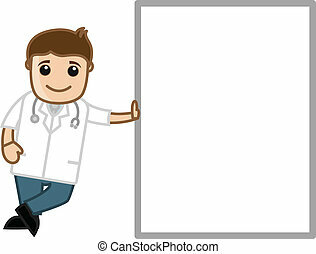 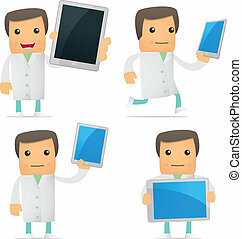 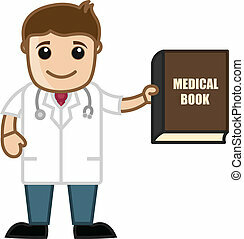 Vector illustration of a cartoon doctor with a medical chart clipboard. 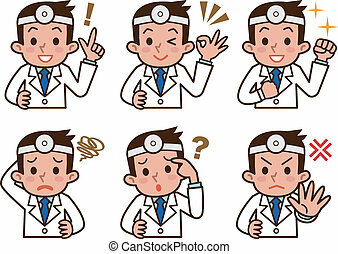 set of funny cartoon doctor in various poses for use in presentations, etc. 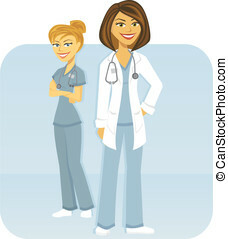 A female medical team of doctor and nurse. 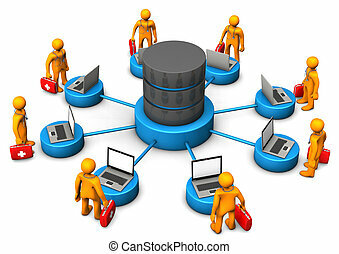 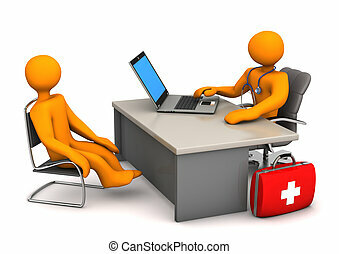 Orange manikins with laptops and database on the white background.